Most Hindu homes will include a prayer room where a small shrine is kept that holds the family Deities and other sacred objects. In the simplest case, this prayer room may be placed in a small closet, cabinet or even shelf. In a more elaborate case, a separate room may be dedicated for the shrine. Ideally, this room would be in the northeast area of the home, which is isha-Kona (God’s corner) according to Vaastu-Shastra. The prayer room is generally maintained by the ladies of the family and in the morning they will light a lamp and incense and offer prayers to the Deities in the shrine. At different times of the day, food may be offered on this altar. As to why Hindu homes have a prayer room, I think it is obvious. Prayer and worship are not something only reserved for a certain day of the week in a temple. 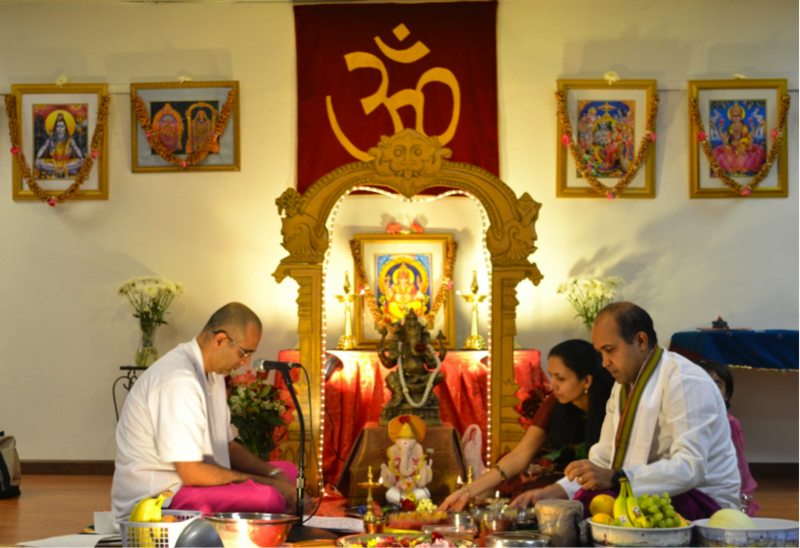 Instead, prayer and worship are part of the daily practice of a Hindu family.